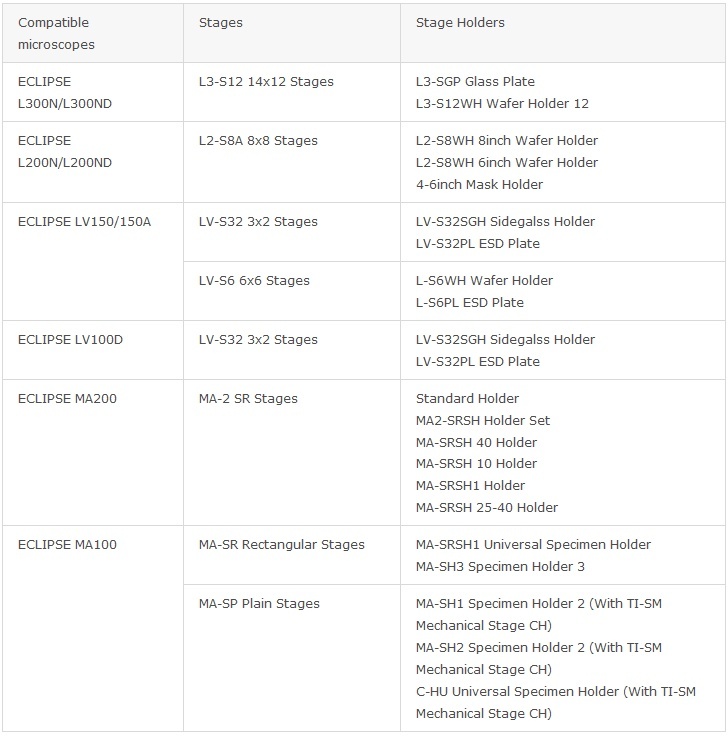 Various types of Stage Holders are available for the ECLIPSE series microscopes. AThe LV-UEPI universal epi-illuminator enables brightfield,darkfield, simple polarizing and DIC observations. Field and aperture diaphragms are automatically opened when the observation is switched from brightfield to darkfield, and return to their original position when switched back to brightfield. The LV-UEPI2 universal episcopic illuminator is equipped with advanced optics suitable for a wide variety of observation methods?brightfield, darkfield, DIC and epifluorescence. It allows the operator to concentrate on the observation by automatically maintaining optimal illumination conditions for the aperture diaphragm, shutter, filters, including diffuser and ND filter. In this illuminator, the illumination changeover turret and the aperture diaphragm, as well as the illumination voltage control, have been motorized, for accurate reproduction of illumination?therefore, images can be taken under consistent illumination. Aperture is automatically optimized according to the objective and illumination technique in use. It can, however, also be changed manually depending on the sample and purpose. 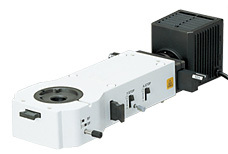 When configured with the LV-ECON E controller, this illuminator can be controlled with the controller or from the connected PC. With emphasis on light weight and compact design, this white LED illuminator was specially developed for brightfield use. It is operated via the attached power source controller. By using the LV-ECON E controller, external control is also possible.